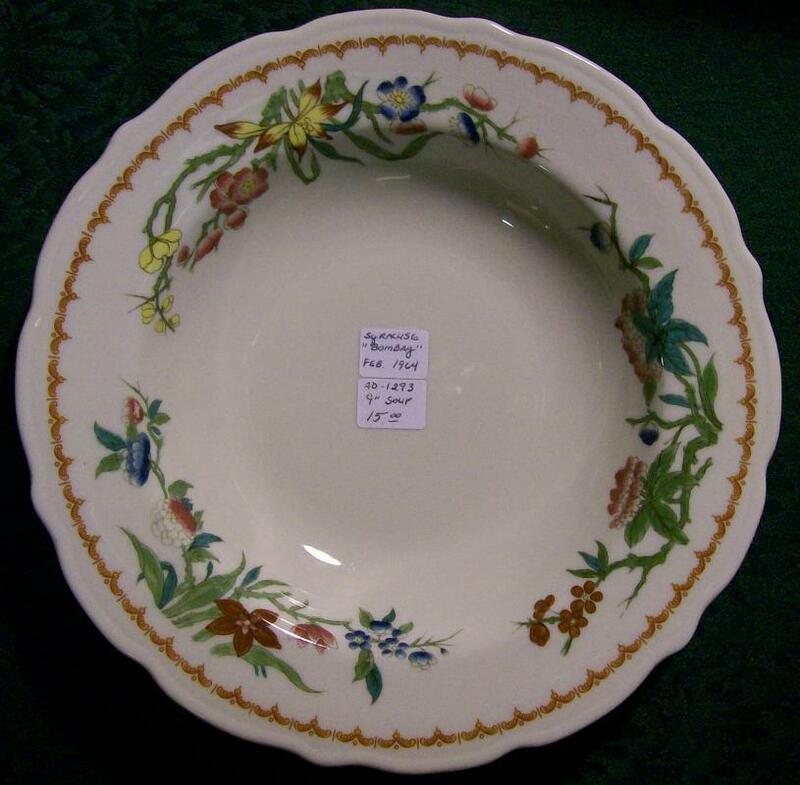 Syracuse China "Bombay" pattern restaurant ware soup bowl. Date code for February 1964. 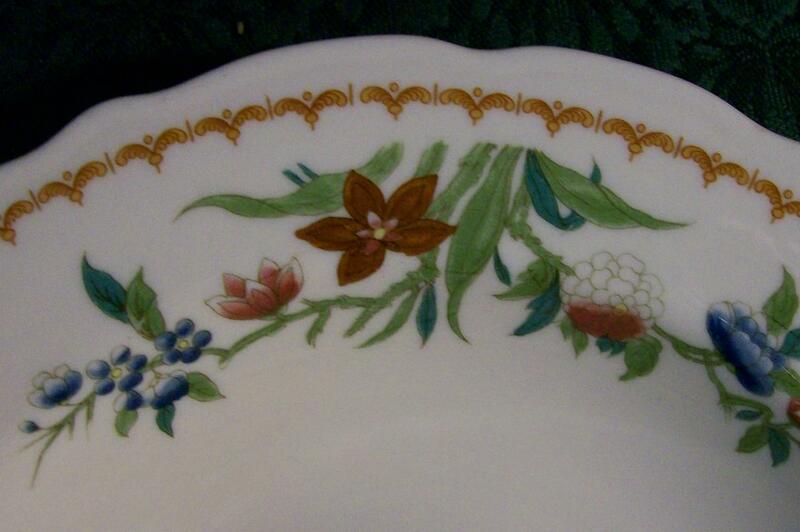 Measures 9 1/8"d. Scalloped rim with red & tan border. Moderate wear, but no chips or cracks. Sold as is. Inglenook Antiques...Established 1989. 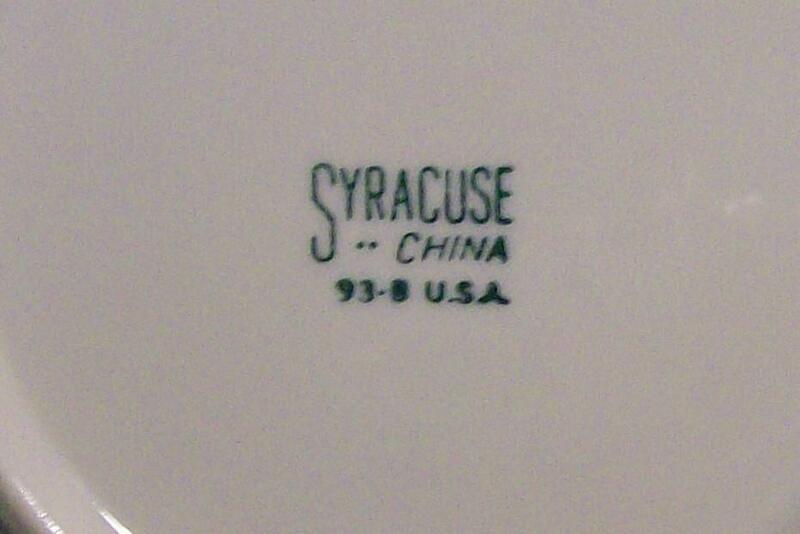 Items Similar To "Syracuse "Bombay" Restaurant Ware Soup Bowl 1964"